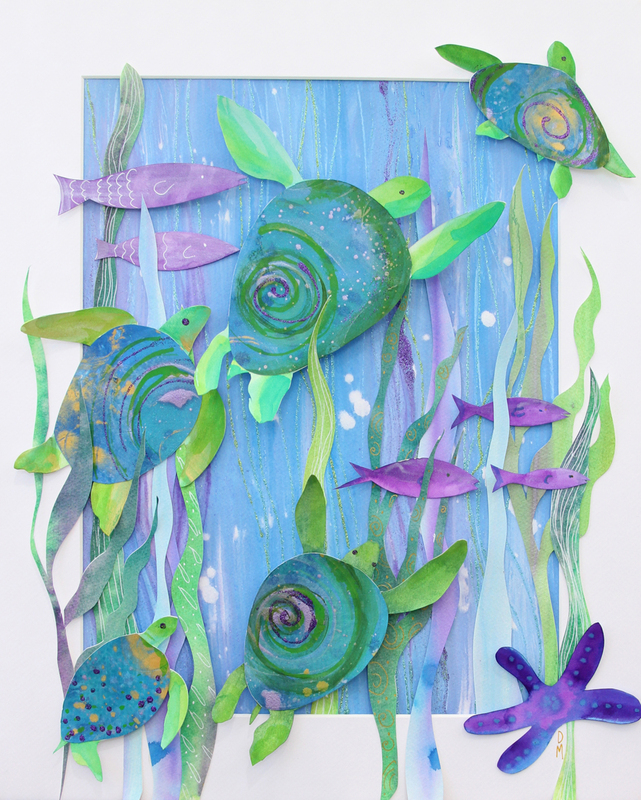 Turtles are swimming along in the ocean along with fish and starfish friends. I really had a good time designing this art. All of the raised pieces are painted in watercolor and acrylic inks and then cut out and mounted onto the matted background piece. It's fun to raise the art up off of the flat surface as it seems to give it more life. The colors are mainly blues, purples and greens with gold touches.